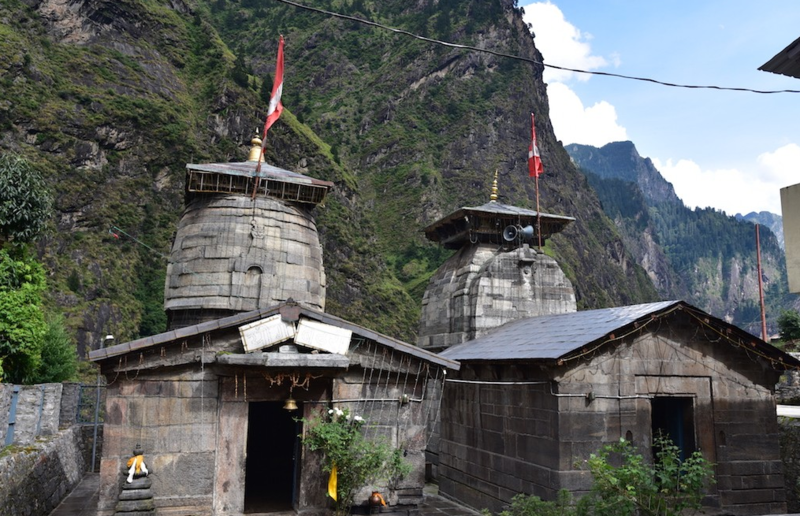 The temple of Yog Dhyan Badri, one of the five Badris, is located at Pandukeshwar, just 24 km short of Badrinath on Rishikesh-Badrinath highway. Located at an altitude of 1920 m named after the Pandava’s king, the sanctum has an image of the lord in a meditative (yogdhyan) posture. The region surroundings the temple was known as Panchaldesh. It is the place where Pandu believed to have married Kunti. According to the myth, the Pandavas, victorious after their battle against Kauravas, but emotionally scarred, came to Himalayas for penance and before seeking out the highway to heaven, handed over their capital Hastinapur to king Parikshit. Going there: Jolly Grant at Dehradun is the nearest airport 274-km away Rishikesh is the railhead. Yogdhayn Badri is 24 km short of Badrinath on a motorable road from Rishikesh. Regular Buses and Taxis ply on this route. 4km away, Govindghat, as private hotels as well as a Gurudwara where pilgrims can stay over night.